Dante was an Italian poet. His most famous and acclaimed poem is the long narrative, The Divine Comedy, the story of the narrator’s journey through hell and purgatory to paradise. It impacts on modern life in that its picture of what hell is like, with its ice and sulphurous fire, where sinners are tortured in the most horrific way, is the image Western culture has of hell. It is the picture of eternal torture that was painted by the Catholic Church for centuries. Similarly, his purgatory and paradise have become the fixed image of what those places are like and, in fact, have until recently been taught by some religions as though they were real rather than fictional places. In some Christian sects they are still taught as the places invented by Dante. Dante is considered to have had one of the greatest literary minds in the whole history of world literature. It is a popular view that if one were to choose one other ‘modern’ (as opposed to ‘ancient’) writer that is in the same class as Shakespeare it would be Dante. Apart from everything else, he did for the modern Italian language what Shakespeare did for modern English. At a time when it was thought that any serious work of literature had to be written in Latin he was a fierce defended of the vernacular and wrote even The New Life and The Divine Comedy in the Tuscan dialect. The use of the dialects of the areas where the writer lived subsequently became acceptable in Italy and resulted in the work of other great Italian writers like Petrarch and Boccaccio. 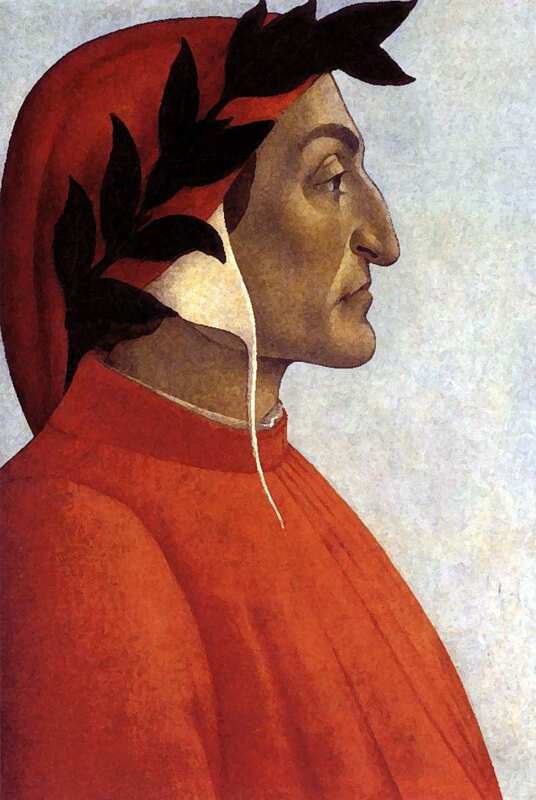 Dante has therefore been called ‘the father of the Italian language.’ He was actually the one who coined the word ‘Italian’ to describe the vernacular of Italy. Before that, people just grew up talking their local dialect without reflecting on what language it was they were speaking, and, if educated and well-born, people mixed with those from other areas and used Latin as the common language. And everything written was in Latin. Like Shakespeare’s, too, Dante’s influence has spread to global proportions. His representations of hell, purgatory and heaven have been an inspiration for a huge amount of Western art of all kinds and have inspired such writers as Chaucer, Milton, Shakespeare, Tennyson, and many others, as well as painters and composers.